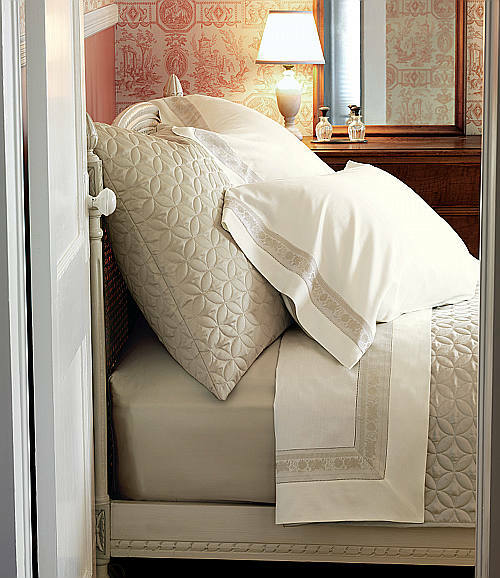 Take a little trip through the cobblestone streets of Italy with Peacock Alley’s Tivoli duvet collection. Woven in Italy of 100% Egyptian cotton reversed in linen, this unstructured paisley duvet cover will add a hint of European mystery in splendid neutrals of linen and pearl. Unstructured Paisley. Made of 100% Egyptian cotton, reversing to linen. Made in USA of Italian fabric. 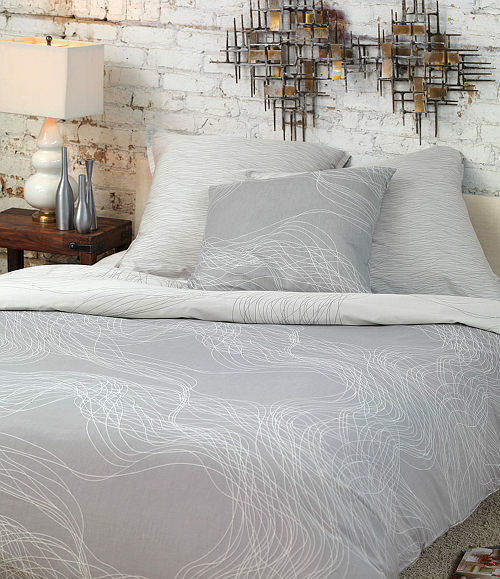 A contemporary bedding ensemble, the Tribeca collection from Nancy Koltes is available in two colorways: Lavender and Silver. The simple lines and soft colors bring a sleek and elegant style to the modern bedroom. The collection includes Allegro duvet cover and decorative pillow, Adagio shams, Vanity sheet set, and Madrid box spring cover, all in a 300 thread count 100% Egyptian combed cotton. 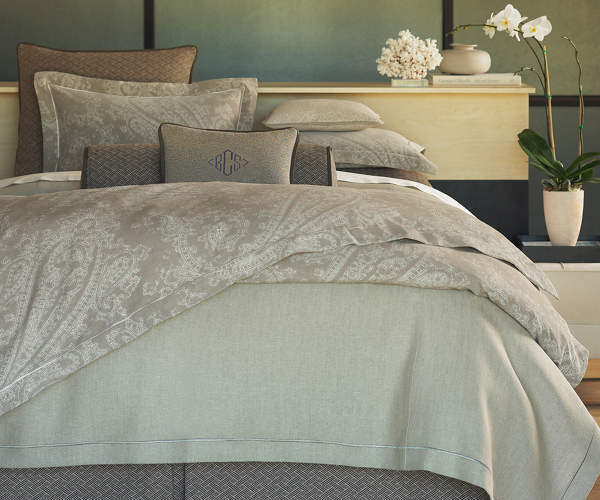 View the entire Nancy Koltes line of fine linens available on DefiningElegance.com. Simple Syrup Design House offers a unique brand of artistic pillows from the artwork of Danielle Duer. The Blossom pillow series shown above features Orange Blossom and Cherry Blossom. 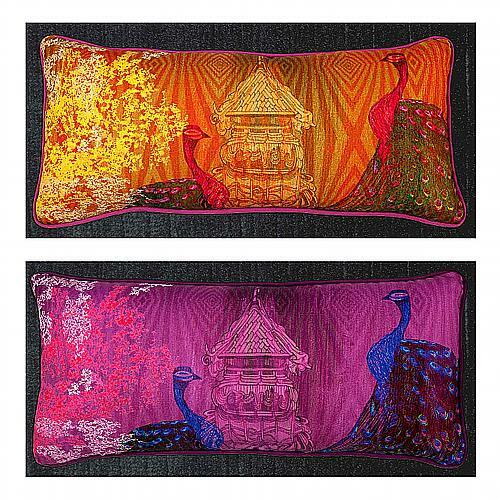 Created in bold, beautiful color combinations and layered images, these unusual decorative pillows keep the viewer mesmerized. Each pillow has a small hand painted flower on the bottom right corner by the artist. All pillows are digitally printed on a linen/cotton canvas front with a medium weight cotton blend fabric for the back. 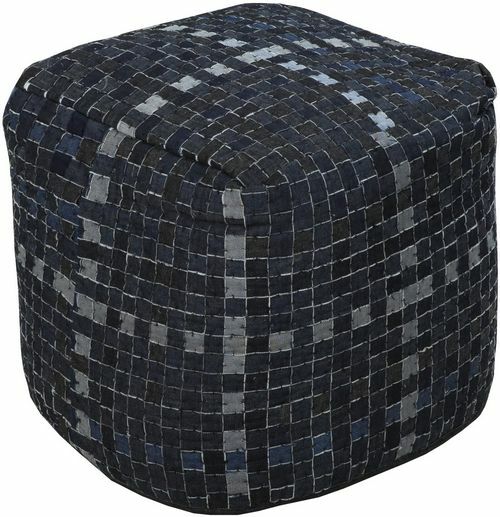 See more fabulous decorative pillows at DefiningElegance.com. The Rivoli ensemble from Nancy Koltes embraces soothing and classic neutral colors for sophistication while allowing contrasting colors in the decor to give the room its punch. This combination of quite luxury features Eleanor’s Ribbon, a classic sheeting collection in a 300 thread count Egyptian cotton with a yarn-dyed jacquard border; Savoy, a uniquely quilted solid sateen in self-backed coverlets and knife-edge shams; and Newport, a 600 thread count 100% Egyptian cotton sateen fitted sheet. Feel free to add layers of window treatments, decorative pillows, and an insanely soft throw for that alluring appeal. Look to DefiningElegance.com to create opulent style for your private retreat. Color plays an important role in creating a well designed room regardless of style. It can disguise problem areas or draw attention to a beautiful window view or set the mood. Color has the ability to visually make a room feel warmer or cooler, make a large room feel cozier, or a small room feel larger. Think carefully when choosing the color of your draperies and the role they will play in the overall design of your room. If you want your window treatments to take on a supporting role, then they should match the color of the wall or be of a low contrast color. This helps them blend in with their surroundings so as not to draw too much attention. 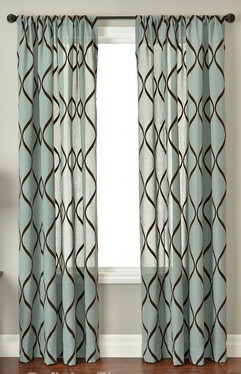 In this situation, you want your window treatment to lead the eye to the focal point or to unify the room. If you don’t have a focal point in the room or your room lacks architectural interest, you will need window treatments in a high contrast color. In this scenario, you want to draw attention to your window coverings as they will be the main point of interest in the room. Whatever role you assign to your window treatments, you’re sure to find just the right color, texture, and pattern with drapery panels offered on DefiningElegance.com. Fall in love with the old world charm of Lili Alessandra draperies or the Hollywood glamour vibe of Couture Dreams draperies. You won’t be able to resist giving these collections of unique window coverings a starring role. Like an aspiring actor, some are just meant to steal the show. 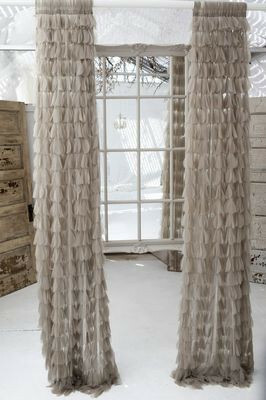 Muriel Kay draperies and curtains are made with natural fabrics such as cotton/linen blends, cotton, silk, and jute, as well as faux silk. This collection has some beautifully embroidered panels for added interest and texture. Whether you favor the traditional styling of draperies with rod pockets or soft pleats or the contemporary look of grommets, you’ll be impressed with the many attractive fabric and color options from Softline Home Furnishings. The common thread of our desire for a beautiful home is inspiration. Shop DefiningElegance.com for elegant draperies, fine linens, artistically crafted decorative pillows, and other soft furnishings for the home and be inspired. Decorative pillows from Simple Syrup Design House capture the passion for art and creativity of artist Danielle Duer. As you follow the lines, curves and intricacies of the details, you gain a sense of calm and inner peace. The Meditation pillow series is offered in an exuberant palatte of bold colors. Perfectly suited for a master bedroom or a guest room, the Hannah collection has a traditional appeal. This linen/rayon bedding ensemble from Traditions Linens uses a soothing blue and white palate and ruffle details that have a nostalgic feel. An array of interesting shams, sheeting, and a coverlet harmonize with the duvet and set the mood for sweet slumber. Vendome from Nancy Koltes is a new take on an old classic favorite, combining 100% Egyptian cotton percale with applied sateen borders in your choice of 11 colors. This program is available in a duvet cover, shams, sheets, cases, and a tailored bed skirt. 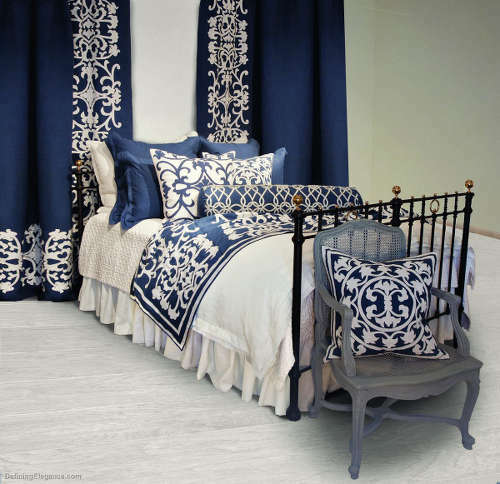 This exquisite SDH bedding line is a 2 – Color yarn dyed jacquard boutis. Certified – OekoTex. 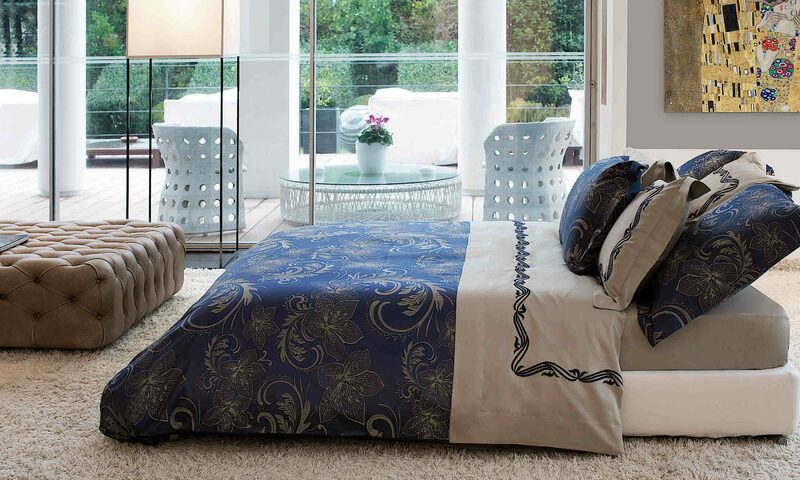 This collection of bedding is very elegant and will be a beautiful addition to a posh furnished bedroom. The material is 62% Silk / 38% Egyptian Cotton. Available as Duvets, Top Sheets, Fitted Sheets, Cases & Bedskirts. 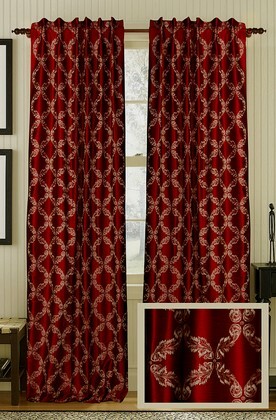 Swatch fabrics are available so that you may examine the material in your own home. 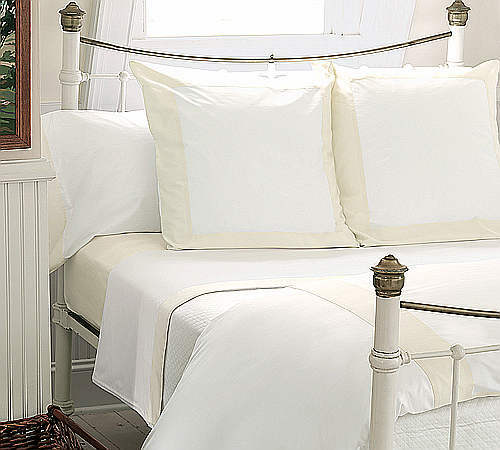 We are proud to offer this collection in our luxury bedding ensembles.